With the UK treating us to some warmer weather these past few months my hair has really taken a turn for the worse. I mean dry, brittle and frizzy - it's never a look a girl wants - especially whilst trying to dodge styling and using heat to encourage growth! Nothing I was using seemed to be helpful... until one day, whilst flicking through an old magazine, I spotted a random sachet and I decided to give it a go. 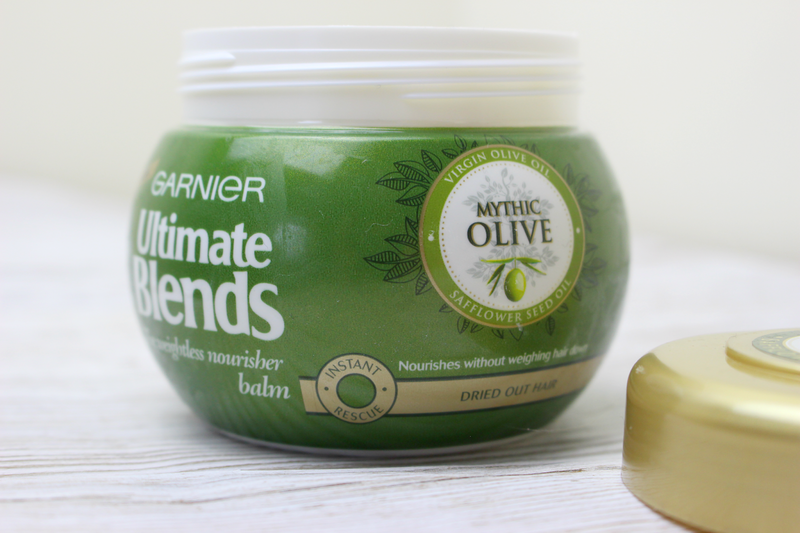 This sachet was for a new product from the Garnier Ultimate Blends range - a range which I have been a huge fan of in the past - the Weightless Nourisher Balm! After using the sachet I was sold and went out straight away and invested in a full sized pot (which was on offer at the time! #winning). This stuff is an intense conditioning treatment blended with Virgin Olive Oil, and Safflower Seed Oil! With a creamy but light texture this balm is so nourishing without weighing down the hair at all. I've become a complete addict. My hair hasn't felt like light, soft and naturally healthy for months and this product has become a firm fixture in my haircare routine, using it a minimum of once a week. I've been trying to get my hands on the shampoo and conditioner in this range too but it's been sold out everywhere I go where I live at the moment - island struggles! If your hair is in need of a pick me up and you're on a budget, I cannot recommend this product enough! I've heard such great things about the Mythic Olive range! I'm definitely going to get some! This sounds like such an amazing range. Oh im going to try this. I love the cocoa butter version!